The all-new Dodge Charger is the latest in a long and legendary line of high-performance American muscle machines in Palestine, TX. It’s time to experience the thrill. Dominance is a word not used lightly, but it is used often when referring to amazing Dodge performance. The newest Charger exemplifies this greatness and the will to outperform the competition. After all, the Charger has been around long enough to tear up some of the best names in classic muscle. From the days of the Duke boys outrunning the law to the latest edition currently out prowling the streets for prey, the Dodge Charger has been and will always be ready to take you on the joyride you’re looking for. At Elliott Chrysler Dodge Jeep Ram Fiat Palestine, we’re proud to be your #1 source for supercharged performance and excitement. We’re ready to put you behind the wheel of your perfect Dodge Charger model and let you ride off into the sunset on your terms. Our job is simple. You want to own the Charger, and we have an incredible selection bursting with value. All we have to do is give you what you want. 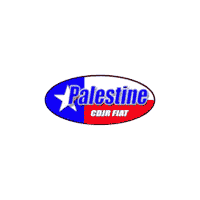 At Elliott Chrysler Dodge Jeep Ram Fiat Palestine, it really is that easy. See for yourself what we mean and why we’re so invested in your satisfaction. Check out our selection of Dodge Charger models online now and contact us however you’d like to set up the last test-drive you’ll need to take. We’re here and ready to impress you; and so is the exciting new Dodge Charger.